I hope you all had a lovely long weekend. I had a super productive weekend filled with studying and organizing and am bummed to be back to the everyday grind. In honor of the crazy sales that Colourpop has been having lately, I figured I'd round up my Super Shock Highlighters from the brand to feature in a quick post! Colourpop's super shock highlighters have the most delicious creamy texture. Like their super shock eyeshadows, I've found that they apply best when using your fingers. They have a huge shade collection - there's guaranteed to be something for everyone on their site. Some highlighters have a subtle shimmer to them while others huge more chunky sparkles. Pick your poison! Lunch Money: Without a doubt this is my favorite of my Colourpop highlighter trio. It is a gorgeous champagne shade that leans slightly light gold. It looks quite soft and natural but can also be built up for a more intense glow. This is the perfect everyday highlighter for me! Wisp: This highlighter has a light bronze base with lots of golden flecks of glitter. Wisp is far too dark on me personally to suffice as a highlighter, but I love using this one as a bronzer topper if I'm looking to add a little glow to my skin. It would also look stunning if used as an eyeshadow. 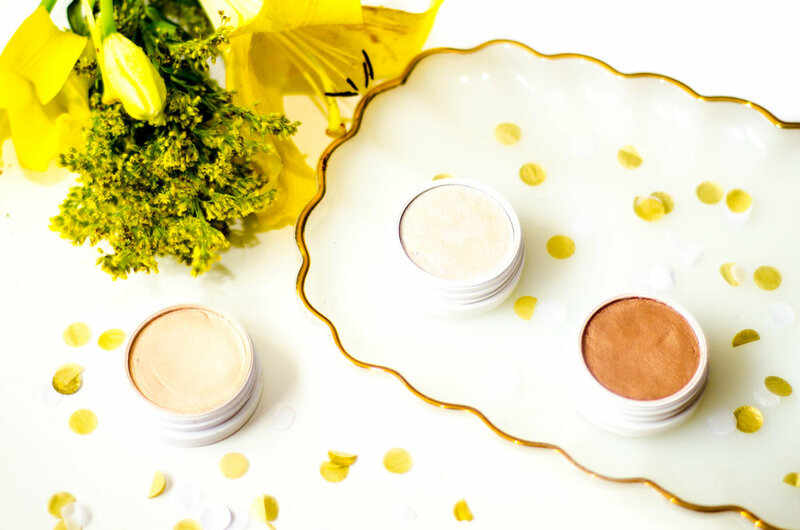 Wisp would be an absolutely stunning highlighter on tan to medium deep skintones. Over the Moon: This shade is a complete. glitter. bomb. That being said, it is definitely the most unique highlighter shade I own! To be honest, this shade doesn't have much of a base. Instead, it's mostly just a ton of hot pink, violet, and light blue sparkles somehow bound together in the form of a highlighter. If you don't like glitter in your highlighter, you will definitely not be a fan of Over the Moon. That being said, it's fun to use as a funky element in makeup looks and also looks great as an inner corner eyeshadow! Colourpop is currently having free US shipping for any order and free international shipping on orders over $35. Some of their products are also 20% off right now, plus every order over $10 gets a free Super Shock Shadow in honor of their birthday! On top of that, Colourpop's highlighters are the definition of affordable, ringing in at a whopping $8. If there's ever a time to place an order, it's now. Have you ever tried Colourpop's Super Shock Highlighters? Which ones are your favorites? Leave a comment below!